Companies are depending more and more on call center industries to handle their customer service based operations. Thousands of representatives are employed each year to fill the need for this type of profession. 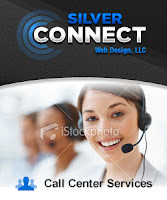 Consequently, being a call center representative requires a lot of skill. A call center agent, just like other professionals, requires a handful of skills to become the best and productive employee. Apparently, having excellent communication skills alone does not insure one’s success in the call center industry. There are several factors to be considered to become the best call center representative. If you are aspiring to be one of the best, here are some tips. First, be very well versed with the products and services you are offering. It is very annoying to converse with agents who do not know what they are talking about, or who do not possess full knowledge of their services. Familiarize yourself with what you are offering until it becomes second nature to give the answers. If you work in a Travel and Tours call center department, be familiar with various landmarks, geographic locations, nearby hotels, and affordable flights. If you are situated in a financial account, know how interest rates develop, when does it start accruing, the factors that affect changes in the rates, and what are effective strategies to lower a customer’s interest rate. Learn how to best handle your customers. Know the importance of individual differences. There are customers who are in a rush and there are those who want to tell stories. There are irate customers and there are prank callers. No matter what your customers’ personalities are, the virtue of patience pays off. Also, develop high listening skills. Customers do not want repeating their concerns over and over again. Communicate properly and probe so you are aware of their situation and their exact need. Always look for ways to be of help. Saying NO dissatisfies customers. Hone your positive scripting where even when you need to deliver something negative, because of the way you choose your words, it doesn’t sound negative at all. Like instead of saying “I’m sorry, we cannot offer you this...”, you say, “This is what we can offer you....”, or “This is what we can do for you...”. When something goes wrong and misunderstanding and miscommunication occurs, don’t hesitate to apologize. In cases where customers are wrong and you are itching to inform them of their misconception, choose your words carefully and do not let go of positive scripting. Fighting fire with fire only makes for a bigger fire. Most of all, an excellent customer service representative genuinely wants to help the client and will go out of his/her way to make the client happy. Of course, all this within the boundaries of what you can actually offer. Do not go into false claims that may appease the client at that moment, only to come back as a bigger problem. Customer service is both an art and a skill. Not all people have the patience to deal with difficult customers. So if you want to pursue a career in the call center industry, take these tips seriously. Being successful in delivering call center services entails loads of knowledge, great communication skills, positive scripting, and an inherent desire to please the customer.